I’m a recent convert to Marvel Select’s offerings. While I’ve often been attracted to the figures, I’ve been put off by the lack of coherence in character selection, the cost of paying for complicated bases that don’t interest me, and the lack of scale consistency with Marvel Legends. 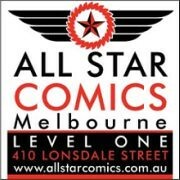 The recent run of top tier characters like Hulk, Captain America, Iron Man and Captain Marvel have drawn me in, however, and sent me back looking for some of the other highlights of the line. 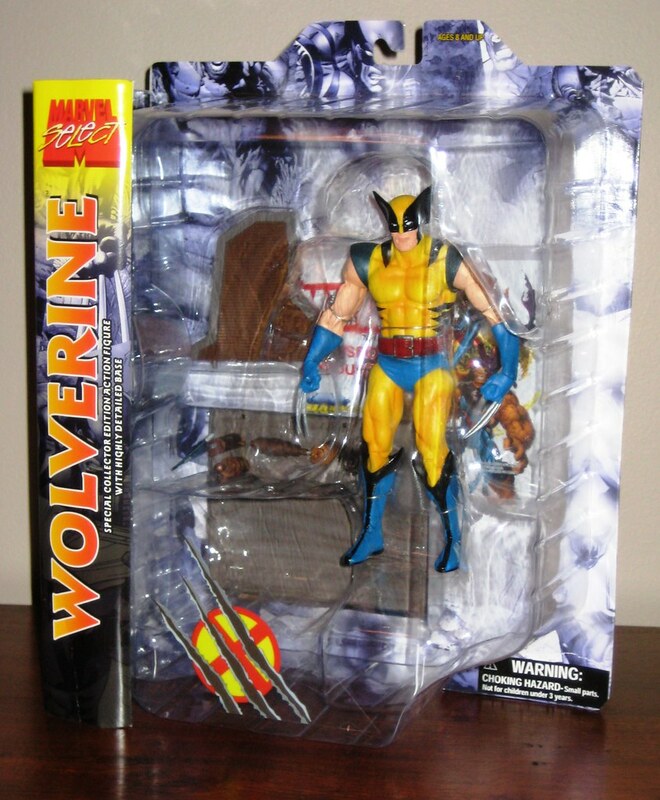 Marvel Select Wolverine came out last week and makes a nice addition to this recent trend of A-league characters in the MS line. I skipped the dopey looking First Appearance variant in favour of the standard version. Overall, this is a pleasing figure. Great rendition of the classic costume, and made the way I’d prefer my Marvel heroes, which is not over-articulated. One articulation-related quibble I do have, however, is with his claws and wrist / arm articulation. It’s hard to pose him in a way that make his claws look as menacing as one might like. The claws are perhaps a little bit thick or coming from slightly the wrong angle. Whatever the cause, it makes it look a bit awkward. The base is pretty useless, in fact most of it is pretty indistinguishable, a part from a Weapon X helmet to the left hand side. 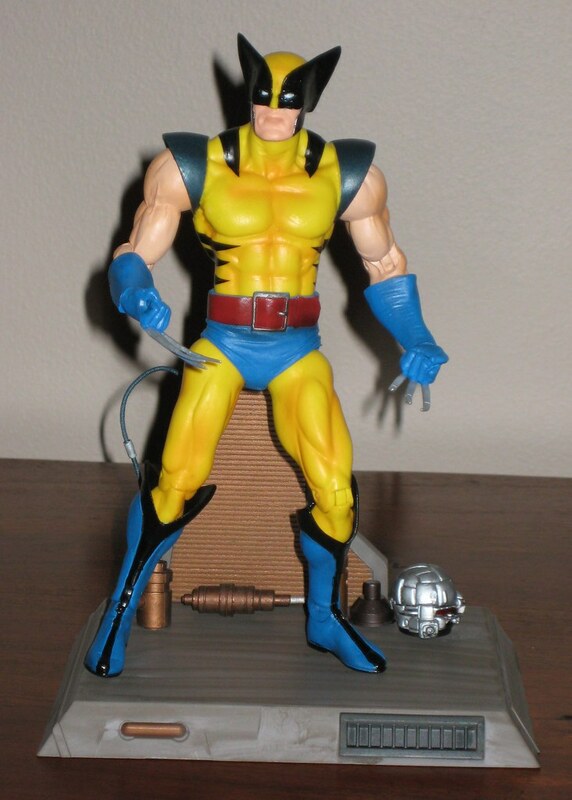 This is my gripe with Marvel Select’s recent single-figure efforts: I don’t mind paying nearly double what I’d pay for a DCD figure for someone like Watcher or Thanos, but when it’s a single figure at pretty much the same quality of figure and a base that’s pretty worthless, I’d rather see MS put the money into two-packs like Havok and Polaris, Northstar and Aurora or other combinations that would definitely sell. Having said that, it’s worth it to have this one in my collection. Overall he’s a great figure. If MS isn’t going to think too far outside the box then I hope we see a more consistent line of characters come out in this format and scale so that the can have some semblance of team or universe building as opposed to the previous slip-shot approach. You can see additional pictures at Facebook, discuss this at the AFB Forum, and don’t forget that by commenting on this post you can enter the July AFB Comment of the Month Contest! Looks a little average to me .... considering the price! Maybe they'll release the New Avengers as MS.
Gotta say I'm not really sold on 'em either. Bringing them out at the rate they are is kinda weird. It'll take forever to build up a team. Is it just me or is Cap barely taller than Wolverine? 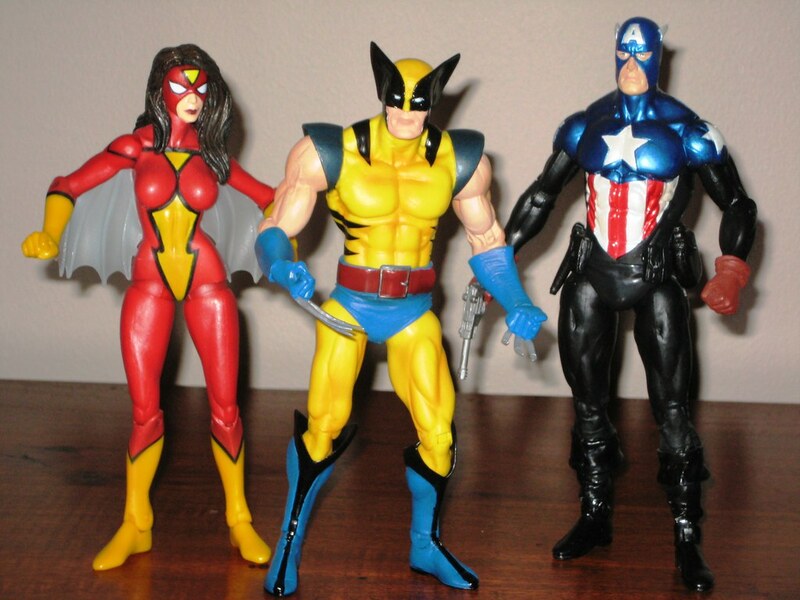 I think FMS is right, Wolverine should be way smaller than the Cap. On the other hand I like this a lot more than the ML designs. Lucky I don't collect either of them. But if ML looked like MS I would be in hell of a trouble. I think the face and the claws could have been better. The rest is okay.